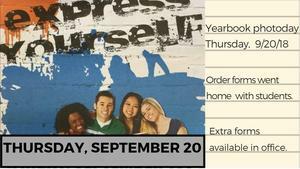 Forms for picture day went home last week, packages can be viewed online. Cash, check, money order or credit card order number are all acceptable forms of payment. 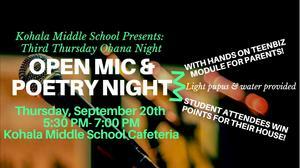 After school we will have our first Third Thursday Ohana Night of the 2018-2019 school year! An Open Mic & Poetry Night with a Teen Biz Module for parents and guardians. Light pupus and ice water will be served. 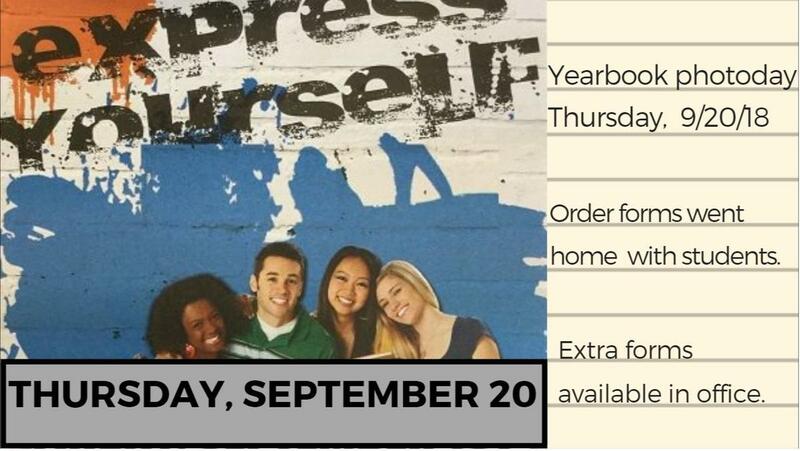 Click Read Full Story for more information for all that's happening Thursday, September 20, 2018. It's also Third Thursday Ohana Night! 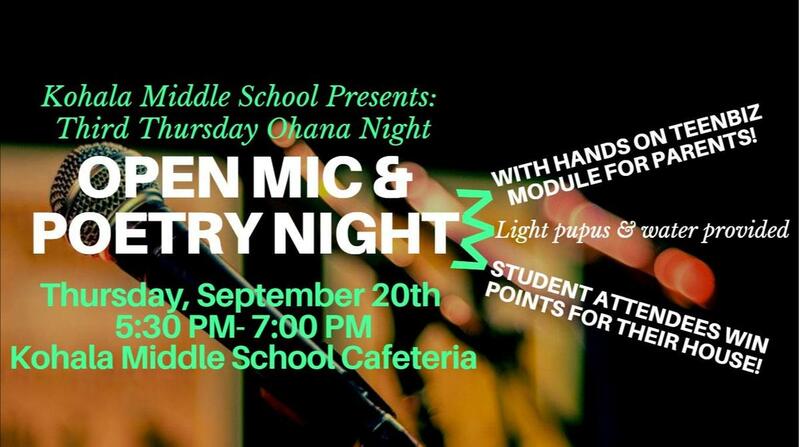 We are inviting are friends, family and community to share in our special Open Mic & Poetry Night Ohana Night with a hands on TeenBiz module for parents and guardians. We encourage participants to sing, speak, perform, or recite a poem, rap, or song original or borrowed from a friend, poet, author, or musician. The Ohana Night will run from 5:30- 7PM and light pupus and ice water will be served. Our TeenBiz consultant will be with us and will share briefly about TeenBiz and then be available to help parents and guardians log-on and navigate TeenBiz.